3-Alexander John Dobson was born on 8 Mar 1875 in Exton, Tasmania and died on 20 Apr 1946 in Gunns Plains, Tasmania at age 71. Alexander married Leila May Grachan on 3 Aug 1904. Leila was born on 7 Jun 1886 and died on 24 Jul 1954 in Gawler, Tasmania at age 68. Alexander John Dobson (Ben) married Leila Grachan on 3rd August 1904. They settled first at Pineroad then moved to Gunn's Plains where they remained until Alexander's death on 20th April 1946. Leila and the family carried on with the farm. In the latter part of her life Leila lived with her daughter Thelma (Last) at Gawler until she passed away on the 24th July, 1954. Dudley and Linda recall their father speaking of learning to swim as a boy in the Rubicon River and of helping to drove cattle to the Deloraine sales through the "Forest" when it was a real forest. Seven of Ben and Leila's family enlisted in the Australian Forces and served in the 2nd World War from which they all returned. Dudley Dobson TX5870 joined the 22nd Light Horse Regiment early 1940 and was at Mona Vale when the infamous stampede took place. He attempted to join the A.I.F. in 1940 with his brothers but was rejected on medical grounds (tonsils). However, in 1941 he enlisted in the 1st Armoured Division and trained at Puckapunyal (Vic.) and N.S.W. When the war shifted from the Middle East to New Guinea and Pacific Island, the Armoured Division was split into smaller units and the Transport Coy that Dudley was in became 164th A.G.T. Coy. After a stint in Alice Springs he was later transferred to Adelaide River in the first semi-trailer in that area. At that stage the departure port for the push north was supposed to be Darwin. However, Northern Queensland was chosen and the 2nd 164th Aus. General Transport Company was transferred to that area with no leave to be granted. This Company was under the command of General Moreshead. Dudley was promoted to Corporal and at the time of his some time in camps in Australia before moving to New Guinea. He returned to Australia in 1945 aboard a British A12 Aircraft Carrier the H.M.S. Implacable. Russell (Chap) Dobson TX3742 joined the A.I.F. in 1940 and served in 2/3rd Me. G.B, After training in Tasmania and South Australia he left Sydney aboard the same French ship as his brother Bern, arriving in the Middle East just prior to Christmas. He left Palestine in January 1942 for Java on the Orcades which was intercepted by the Japanese. He was a prisoner-of-war in various camps in Thailand and Burma. The camp was on the Thai side of the Burma Railway. Chap arrived in Melbourne on S.S. Tamarua, October 1945. Dee Dobson served in the 2/2nd Aust. Armoured Brigade Coy. A.A.S.C., the 2/165th General Transport Coy, Me. Gun Btn. in 1944. He went to New Guinea in 1944 and returned to Australia in 1945 for his discharge. Linda Dobson daughter of Ben and Leila joined the A.A.M.W.S. in 1945 as a nursing orderly and served at the 115th A.G.H. Heidleburg from where she was discharged in 1947. Keith Dobson joined the Navy pre-war on 5th September, 1938 to give him a permanent job. He served on 3-8" cruisers but the most trying moments firstly on the Wollongong during our defeat in the Java Sea and the Cessnock during the invasion of Sicily and Italy. He rose to the rank of Stoker, Chief Petty Officer, and was finally discharged from the Navy on 5th September, 1950. Bert Dobson served for two years in the Allied Occupation Forces in Japan. Rex Last (son of Jack and Thelma Last [Dobson]) served in the Royal Australian Navy on mine sweepers from his enlistment on 1st April 1945 to 31st March, 1947. His ship worked the area between Macquarie Island, Adelaide and Sydney. Max Last, brother of Rex enlisted in the A.I.F. but was manpowered for essential services. 4-Thelma Marjorie Dobson was born on 13 Jun 1905 in Pine Road, near Penguin and died on 16 Jun 1973 at age 68. Thelma married James Last. James was born on 15 May 1889 and died on 15 Dec 1947 at age 58. They had three children: Max, Rex and Lexie. 5-Max Last was born on 27 Aug 1925. 5-Rex Last was born on 11 Jul 1926. 5-Lexie Last was born on 9 Feb 1928. Lexie married Bill Weedon. Bill was born on 15 Apr 1925 and died on 21 May 1987 at age 62. They had one daughter: Sherie Terese. 6-Sherie Terese Weedon was born on 9 Feb 1960 and died on 19 Dec 1986 at age 26. 4-Linda May Dobson was born on 26 Oct 1908 in Pine Road, near Penguin. She served in World War2. 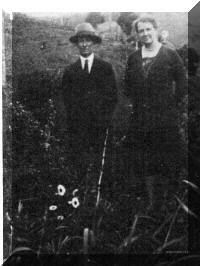 4-Olga Josephine Dobson was born on 27 Dec 1910 in Pine Road, near Penguin and died on 7 Feb 1933 at age 22. 4-Dudley Albert Dobson was born on 26 Jan 1913 in Pine Road, near Penguin. He served in the Second World War. Dudley married Lorna Williams. Lorna was born on 12 Nov 1921. They had two children: Colin and Kevin Donald. 5-Colin Dobson was born on 13 Feb 1948. Colin married Wendy Harper, daughter of Alex Harper and Joyce Cox. Wendy was born on 15 Oct 1950. They had two children: Scott and Amanda. 6-Scott Dobson was born on 5 Jun 1974. 6-Amanda Dobson was born on 3 Apr 1977. 5-Kevin Donald Dobson was born on 20 Sep 1949 in Ulverstone, Tasmania and died on 20 Sep 1971 at age 22. He served in the Vietnam War. 4-Bernard Francis Dobson was born on 16 Jun 1915 in Gunns Plains, Tasmania, died on 28 Dec 2007 at Home, Ulverstone, Tasmania at age 92, and was buried on 2 Jan 008 in Service & Cremation at Ulverstone. He served oin the Second World War. 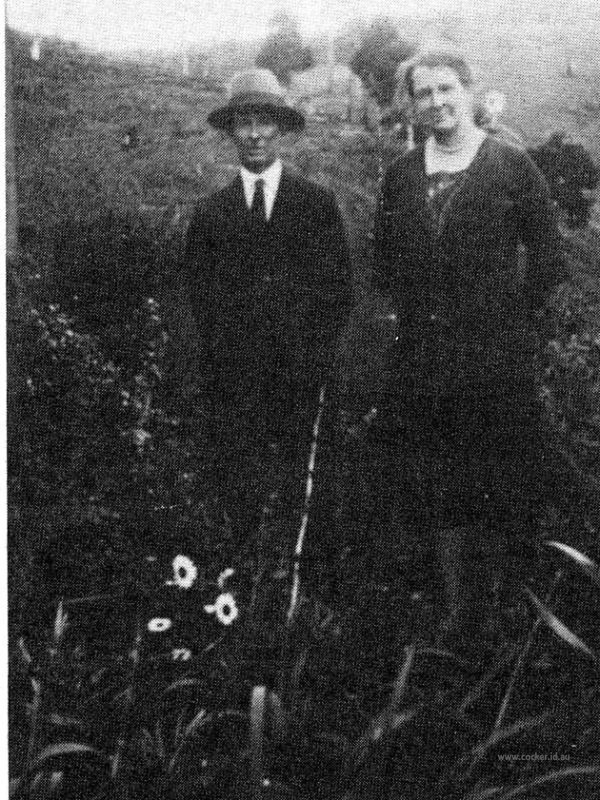 Bernard married Doris Shepherd. Doris was born on 20 Aug 1935. They had five children: Jennifer, Margaret, Lynette, Andrew and Diana. 5-Jennifer Dobson was born on 5 Aug 1953. Jennifer married Laurie Lowe. Laurie was born on 15 Jan 1949. They had five children: Steven, Kathryn, Judith, Robyn and James. 6-Steven Lowe was born on 5 Apr 1971. 6-Kathryn Lowe was born on 4 Mar 1972. 6-Judith Lowe was born on 25 May 1973. 6-Robyn Lowe was born on 4 Apr 1974. 6-James Lowe was born on 29 Apr 1982. 5-Margaret Dobson was born on 12 Feb 1955. Margaret married Gregory Bannon. Gregory was born on 14 Oct 1951. They had two children: Portland Brook and Kurtis Edward. 6-Portland Brook Bannon was born on 29 May 1982. 6-Kurtis Edward Bannon was born on 20 Mar 1984. 5-Lynette Dobson was born on 16 Feb 1957. Lynette married Robert Walker. Robert was born on 12 Apr 1952. They had two children: Bradley James and Natalie. 6-Bradley James Walker was born on 8 Apr 1982. 6-Natalie Walker was born on 21 Dec 1983. 5-Andrew Dobson was born on 16 May 1959. 5-Diana Dobson was born on 15 Aug 1962. 4-Russell Michael Dobson was born on 25 Dec 1917 in Pine Road, near Penguin. He served in World War2. 4-Keith Paterson Dobson was born on 4 May 1920 in Pine Road, near Penguin. He served in World War2. Keith married Faye Langridge. Faye was born on 10 May 1921. They had one son: Wayne. 5-Wayne Dobson was born on 19 Dec 1945. 4-Adrian Norman Dobson was born on 21 Jan 1923 in Pine Road, near Penguin. Adrian married Pam Bloom. Pam was born on 16 Feb 1931. They had two children: Toni Maree and Brenda Lee. 5-Toni Maree Dobson was born on 31 Jul 1963. Toni married Ian Pickering. Ian was born on 24 Nov 1961. 5-Brenda Lee Dobson was born on 8 Jun 1965. 4-Ailsa Joan Dobson was born on 7 Mar 1926 in Pine Road, near Penguin and died on 30 Sep 1973 at age 47. Ailsa married David Whatley. David was born on 22 Feb 1931. They had five children: Michael, Craig, Maree Ellen, Christine Alexandra and Phillip Dudley. 5-Michael Whatley was born on 9 Mar 1956. 5-Craig Whatley was born on 15 Jul 1957. Craig married Carmen Mangan. Carmen was born on 26 Jun 1954. They had two children: Megan and Jeanne. 6-Megan Whatley was born on 27 Oct 1983. 6-Jeanne Whatley was born on 8 Nov 1985. 5-Maree Ellen Whatley was born on 22 Jan 1958. Maree married Kenneth Walters. Kenneth was born on 7 Nov 1956. They had one daughter: Melissa Ailsa. 6-Melissa Ailsa Walters was born on 17 Jan 1987. 5-Christine Alexandra Whatley was born on 11 Jul 1960. Christine married Steven McCoy. Steven was born on 17 Nov 959. Christine next married Steven McCoy. Steven was born on 17 Nov 1959. 5-Phillip Dudley Whatley was born on 8 Feb 1962. 4-Bertram Henry Dobson was born on 7 May 1928 in Pine Road, near Penguin. Bertram married Betty Holliday. Betty was born on 4 Feb 1935. They had one son: Shane. 5-Shane Dobson was born on 4 Nov 1961. Shane married Glenyce Savage. Glenyce was born about 1962. 4-Cynthia Meg Dobson was born on 21 Jan 1931 in Pine Road, near Penguin and died on 26 May 1973 at age 42. Cynthia married Hazel Marshall. Hazel was born on 7 Nov 1918 and died on 23 May 1974 at age 55. They had one son: Graeme. 5-Graeme Marshall was born on 23 Jul 1952. Graeme married Michelle Pidgeon. Michelle was born on 25 Nov 1957. They had three children: Lacinta, Sacha and Nicholas. 6-Lacinta Marshall was born on 19 Sep 1978. 6-Sacha Marshall was born on 18 May 1980. 6-Nicholas Marshall was born on 9 Sep 1982. Cynthia next married Bazil Marshall. Bazil was born on 7 Nov 1918 and died on 23 May 1974 at age 55. They had one son: Graeme.